This gallery features images from around the Puget Sound Basin, including the Skagit Valley, and the Nisqually Estuary. 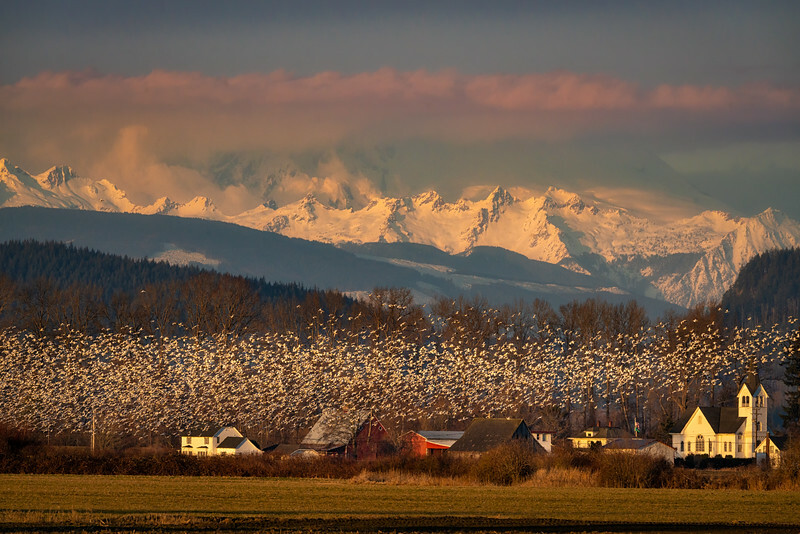 It is such an exhilarating experience to watch about every hour or so the Skagit Valley Snow Geese gather and take up in flight, make of few spins over the fields, and then all land not much further away from where they started to resume their winter feeding. One must be patient, however, as the birds have a mind of their own as to the nature of the time and place for their next movement.